Thanks everyone who tuned into Tuestock to watch Scary Bear Soundtrack’s very first performance in Nunavut/on the Internet! Despite some technical issues, it all worked out. Thanks Jared for setting this all up! We also released our brand new single “Victoria Island” today. Have a listen! If you were worried it’d be a long time until the next time you see Scary Bear Soundtrack play, I’ve got good news for you! Scary Bear Soundtrack is not only releasing a new single, but is also playing a very special show – on your computer! 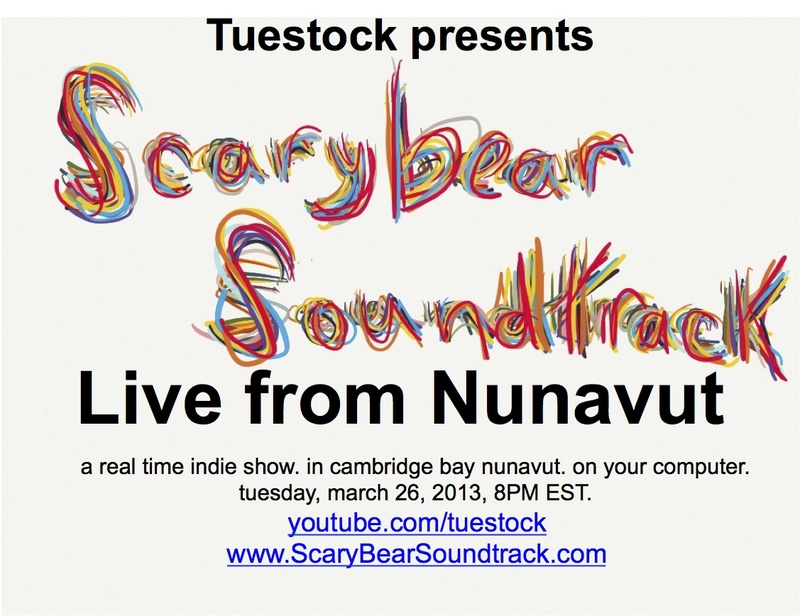 On Tuesday, March 26, at 8PM EST (6PM MT) Scary Bear Soundtrack will be putting on a performance in Cambridge Bay, Nunavut, where it is currently based, to be live streamed on Youtube for the rest of the world to watch. The show is part of the live music series Tuestock, founded by Apartment613 editor and Jam Jar Words editor in chief Jared Davidson, and has previously hosted real-time performances by Canadian acts such as the Elwins. 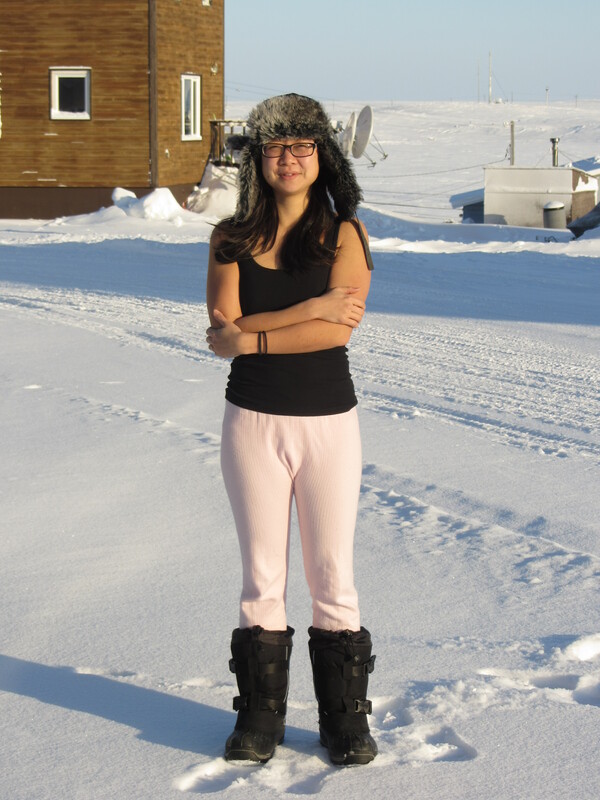 Tuesday’s show will be a solo performance by Gloria, broadcast from her own home by the Arctic Ocean. The performance will be broadcast in conjunction with the release of the band’s new single, Victoria Island, which was recorded in Cambridge Bay, with backup vocals by musicians all over Canada and Europe, including Toronto’s HIGHS, Melissa Laveaux from Paris, and of course, original supporting Scary Bear Soundtrack member Dannik Leduc.